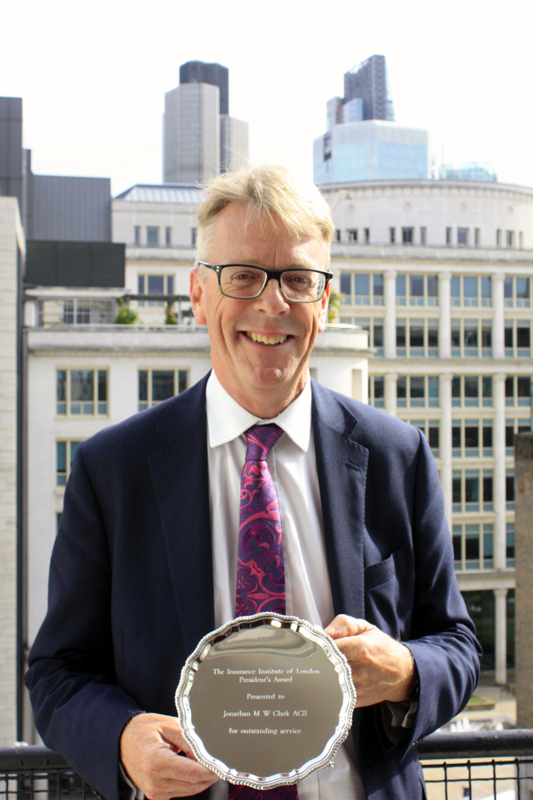 Dominic Christian, CEO of Aon UK Ltd and President of the Insurance Institute of London (IIL), has presented the 2016 IIL President’s award to Jonathan Clark, the newly appointed President of the CILA. “My final action as President of the Insurance Institute of London is to give an award to a member who has made an outstanding contribution to our workings and / or enhanced our Institute’s image in the market and beyond. The Institute team congratulate Jonathan on receiving this award and look forward to his ongoing contributions as President of the CILA.